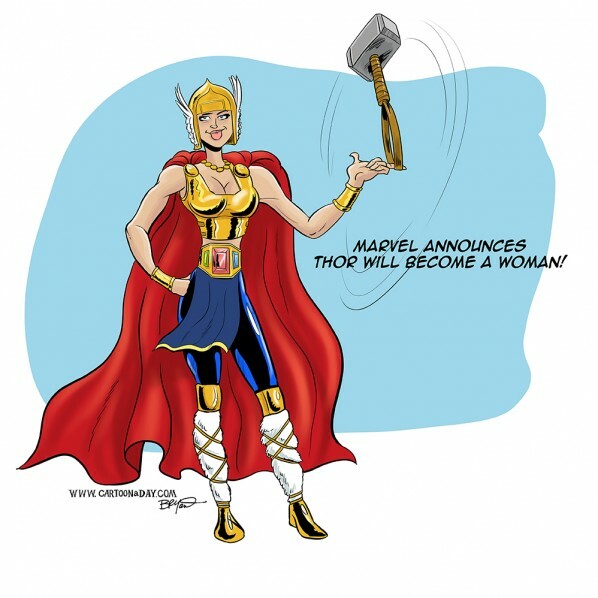 Marvel has announced that Thor the God of Thunder will, well, become a woman. The where and hows will no doubt sell a few comic books, so watch your local stores. This is my doodle of what a female Thor might look like.